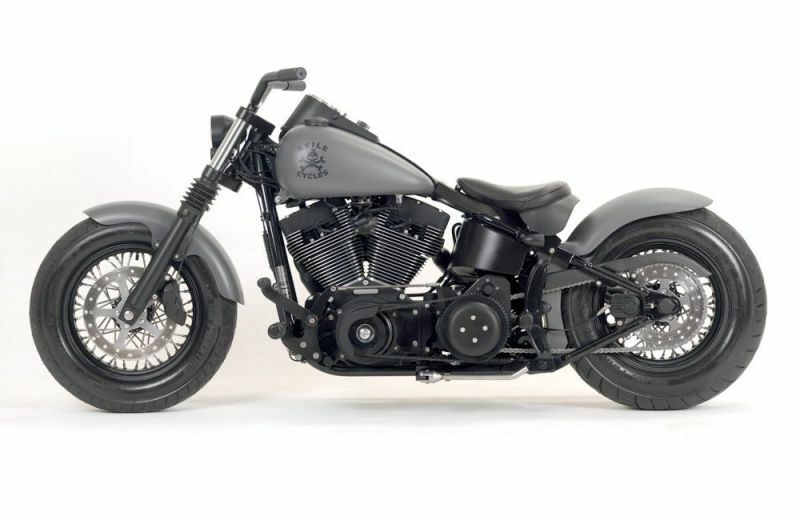 This super-cool battle-ship gray beast started life as a 2005 Harley Night Train. 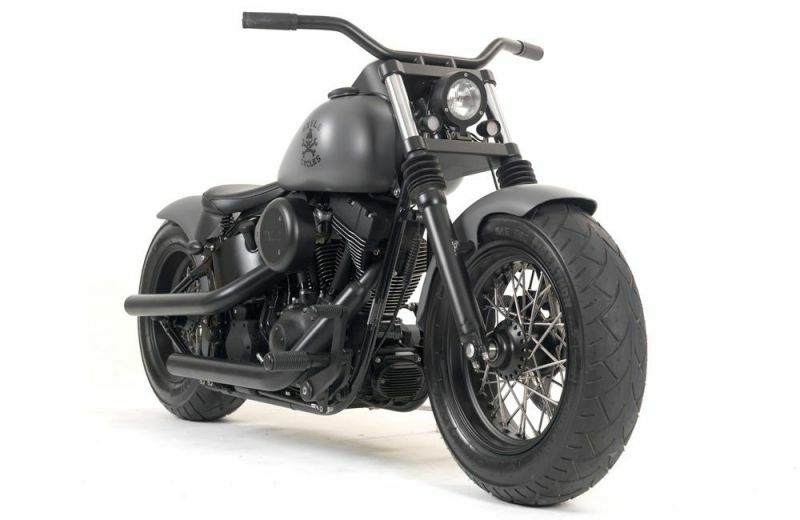 The transformation was an entirely 'bolt-on' procedure, except for the removal of the fender horns from the frame. 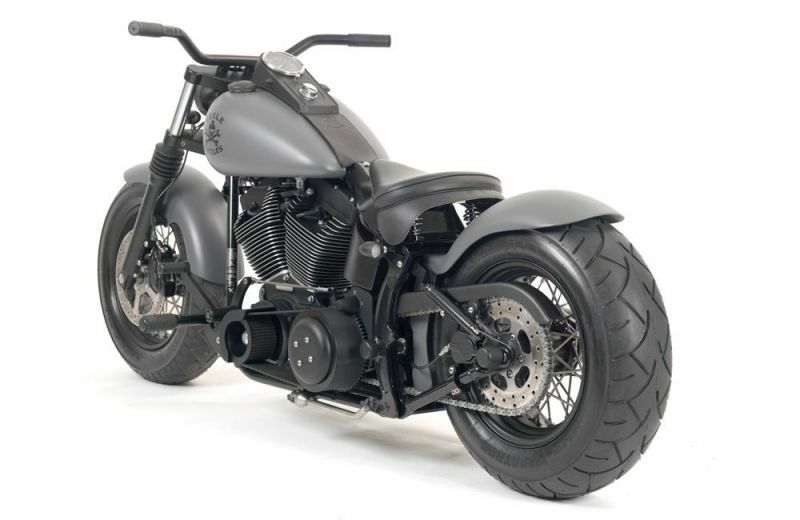 This bike features around $15,000 of parts from our catalog, plus paint, powder-coat, etc.